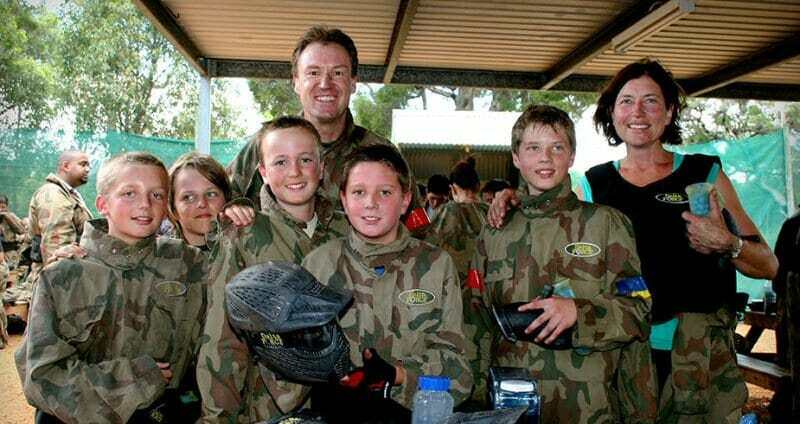 The Delta Force Paintball team has extensive experience arranging memorable paintball excursions; so if you feel the panic rising with the prospect of arranging a group of children for a school excursion, or herding 20 mates on a stag do, Delta Force Paintball will save you the hassle. 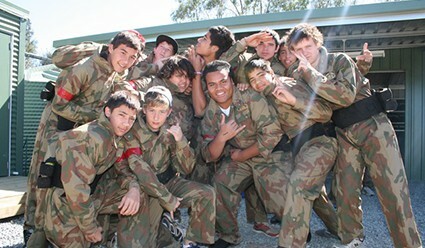 There’s no need to feel daunted by the prospect of arranging a memorable paintball day out for all involved. Our friendly event coordinators are available 24/7 to help you plan your event, whether it’s a birthday party, stag or hen party, teambuilding event or an excuse to catch up with your mates. 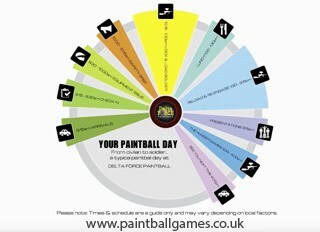 Our Paintball itinerary is available to download and it can be emailed to you in advance so you can circulate it to other members of your team to ensure everyone is aware what to expect on the day. For parents arranging a kid’s birthday party, we also have registration forms that can be distributed to parents and/or guardians to ensure a smooth check in on the morning of your event. 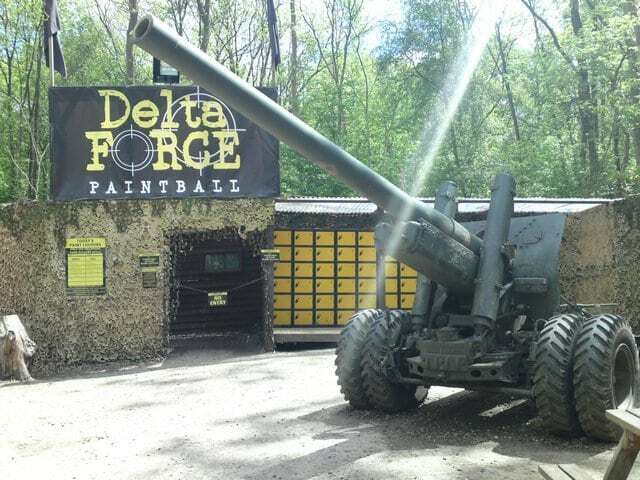 If you’d like to equip yourself with some sharp shooting skills, you can check out our selection of paintball videos that highlight epic paintball action at a Delta Force Paintball centre in the UK. Eager Paintballer’s can even bring their own Go Pro to film the event and share the footage on YouTube. Don’t forget to up your fitness game prior to attending so that you can show off your winning moves and always stay one step ahead of the enemy. Many of our basecamps feature military themed props such as tanks, ferrets and helicopters which form the perfect backdrop when capturing a team photo. You can upload your photos from the event to our Facebook Page or even showcase your finest moment on Instagram. Immerse yourself in the action and don face paint to capture your ultimate game face. Don’t forget to tag Delta Force so we can showcase your photo and inspire other Rambo wannabe’s. Our friendly event coordinators are on hand to help plan your event 24/7, so if you have further questions about planning a paintball event you can contact us anytime on 0203 869 9301.